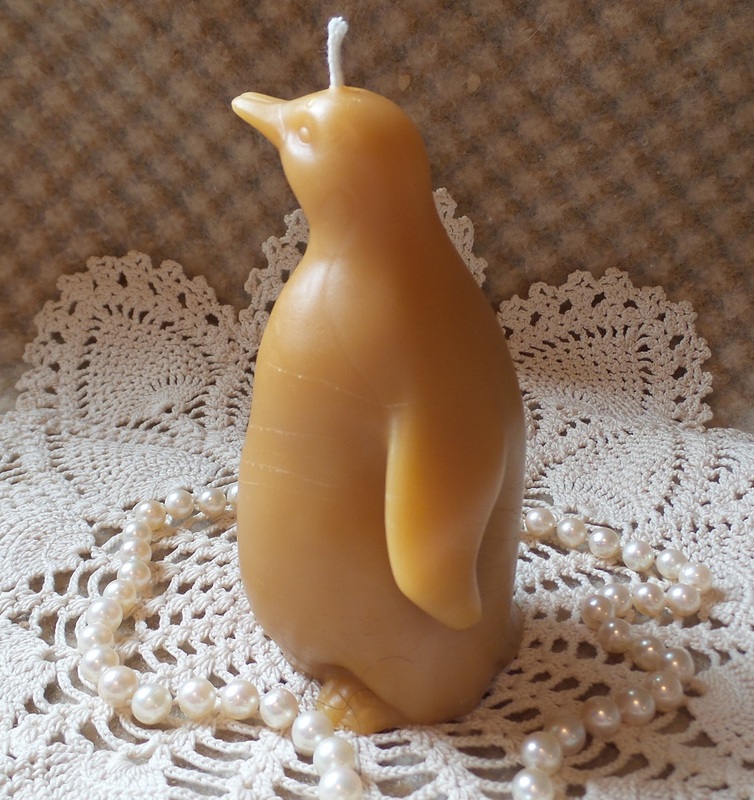 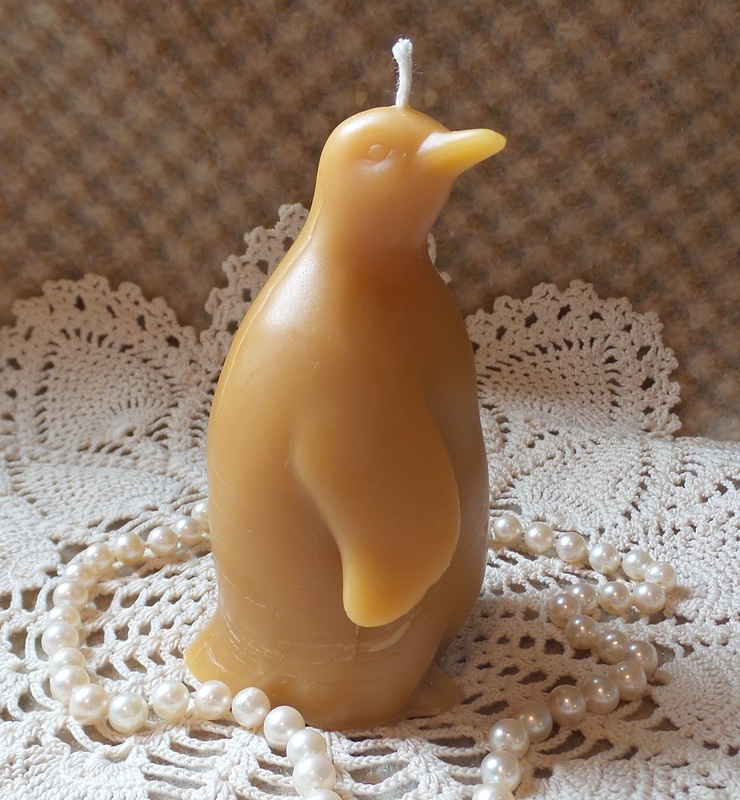 Cute Penguin softly molded in 100% Oregon Beeswax measures 4 1/2″ tall by 2 1/4″ wide and weighs just under 6 oz. Adorable shape is irregular, so be sure to place him on a suitable dish or holder when burning. Burn time: about 25-30 hours.